Harebrained Schemes, the team behind acclaimed games universes like BattleTech, Shadowrun, and Necropolis will be joining the ranks of Paradox Interactive this week. The deal is expected to close by this Thursday. “Harebrained Schemes have proven themselves as a world-class studio with a very talented team within a genre where Paradox wants to be present,” said Fredrik Wester, the CEO of Paradox Interactive. Beside their games, Harebrained Schemes’ founders, Jordan Weisman and Mitch Gitelman, Harebrained Schemes have also founded several entertainment companies like 42 Entertainment, FASA Corp, FASA Interactive, Virtual World Entertainment, and Wizkids. As industry veterans, Weisman and Mitch know what it takes to bring a story to life. “Mitch and I started Harebrained to create the kind of story-rich tactical games we loved,” said Jordan Weisman, CEO of Harebrained Schemes. Wester also believes joining forces is a great idea, as Paradox Interactive really likes the studio, the people who run it, and especially their games. To them, these are must-haves for any acquisition. 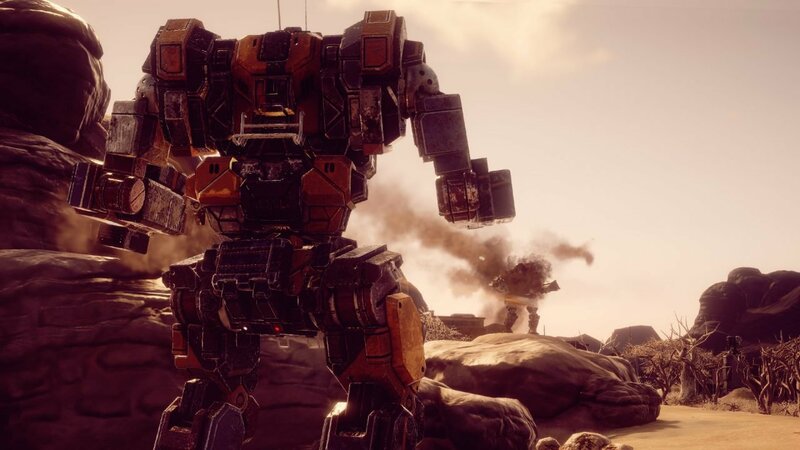 The recent, successful launch of BattleTech, which was a fantastic collaboration between the global publisher and studio also showcased how well they can work together. Gitelman, the president of Harebrained Schemes, is thrilled to continue working with Paradox Interactive, especially because of BattleTech’s success. “Our experience working with Paradox on BattleTech was the best of our careers and proved to us that this was a company we would be proud to be a part of,” Gitelman said. “What’s more, we’ve gotten to experience the incredible audience that Paradox has firsthand. The fans who we met at PDXCON in May after having launched our game were so full of enthusiasm and appreciation. We share a deep respect for our audiences, for healthy and collaborative teams, and for the creative process itself — the fit just works,” Gitelman continued. Paradox Interactive’s new acquisition doesn’t mean the end of the team at Harebrained Schemes, as talent is a big part of the deal as well. In their new role as a division of Paradox Interactive, Harebrained Schemes will continue on with its own internal management and creative teams to develop games, as well as have access to business and distribution expertise, financial support, and even an extended network. Liked this article and want to read more like it? Check out Jake Yanik’s article on Harebrained Schemes.